A littlle put off by not receiving an extra battery like the other shipments receive earlier but hey those guys waited for months before receiving one . Other than that nice small box easy to hook up n get going. Instant utopia first pull 3.5 notch it was great but I didn't feel anything. The problem was I was sipping like with my crafty when I should've been sipping like from my evo. This thing is fierce and at the movies while waiting for wonder woman it took me 3 minutes to get movie ready. For me personally the best portable out there u can buy. When I think portable I think quick, stealth, n potent somethING this thing does flawlessly. 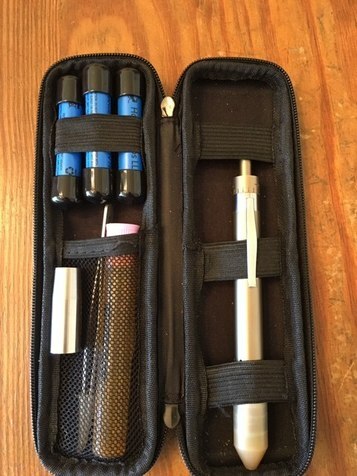 I'm finally putting down my crafty as far as on the go vape. This is the best especially if u miss combustion. Love my Mighty and my GH. Different though. If I want a few hard hits and done, GH. More relaxed sesssion or maybe a dosing capsule with herb/concentrate sandwich, its the Mighty of the two. I medicate for pain and sedation. If I wake in the middle of the night in pain (pretty much a daily occurrence), then I go for the GH on a J-hook or a WP. My GH has operated flawlessly for a year. However, IMO, Hopper Labs still has work to do to improve reliability and, in particular, testability/fault isolation accuracy in order to reduce repeat RMAs. It does come with a lifetime warranty, of course there is always the issue of if Hopper will around for your lifetime. @Baron23, does the j hook work well the grasshopper? I'm tired of using the gh natively because it just gets way too hot even with the silicone mouthpiece to take massive rips. I always gotta do two chambers to get satisfied and I'm hoping a water piece will help me cut it down to one chamber. I never used a jhook or bong or bubbler before because I need stealth. Is there a small but effective water piece that I can use? It works lovely with a 14 mm J hook. Will work either with the silicone covered regular MP or the PFE. I don't use small portable bubblers...frankly, they just aren't something I'm interested in. There are a lot of other similar items on DHGate but you will need to sort through them. Stupid question, do you put water into the j hook? 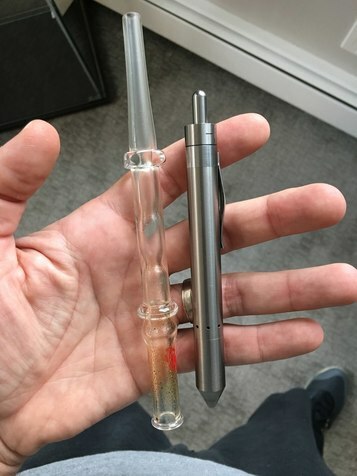 Also, do you find the j hook or glass straw allows you to take massive rips (for effect) or does it just make the vapour more cool so that it's more pleasant draw but it still hits the same (as in same effect as using it natively)? No. I mean, you can if you have a pretty good "J" in the stem, but no.....even doing that will probably result in water all over you and/or your vape. Think of it as a long, cool, all glass MP. I don't believe that there is a difference. The reason that people get big rips using a WP, is that the vapor is cool and mild so they keep on drawing...IMO of course. Silicone and acrylic are NOT going be used for WP material in the Baron household. Its why god made glass. totally spaced right now so not sure exactly what this thread is about except the GH and I will say I do love mine. excellent for quick killer hits. i always use through glass because for me it's a bit hot .... but i am happy i got it ... i love it! Also ... I always use the performance front end with it. Once I received it I never went back to the original. Have you ever used the Zeus iceborn? It uses silicone tubes for attachments and the vapour passes through a metal pathway but this thing is a beast. I only need a fraction of material in my bowl to get totally ripped. Problem with the iceborn is that it uses ice to cool down the vapour so it's not really portable. That's what I'm looking for from a water piece. Nope, I have seen adverts but not used one. "Friends, Romans, countrymen, lend me your ears;. 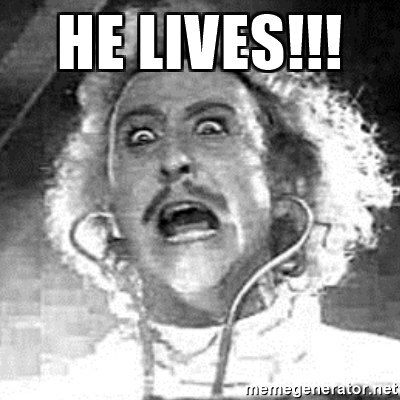 I come not to bury Grasshopper, but to praise him"
You may remember that after a year and change, my Ti GH finally stopped performing the way it did. It would still vape, but weakly and it no longer milked my can nor did the AVB look done. So, I blew it out, I cleaned the threads, I sacrificed a virgin to the gods (and you just don't know how hard it is to find one of them these days), all to no avail. I despaired of having to send it to Hopper and go through the RMA cha-cha with them. But, I did think to order a new set of batteries first to eliminate any further possible causes. I had been using my second set of batteries, GHB-2s, and I religiously rotate and charge the four batteries I keep in the line up. Now understand, it wasn't that I wasn't getting as many loads as before...it was that the vape was not running as hot as previously...by a long shot. Got my batteries this past weekend, topped them off in a Nitecore charger, and ran it last night with a PFE in a stevenlmz79 FC-188, 14 mm, Mobius knockoff. The new ones are GHB-2 also, but with what appears to be a thicker sleeve on the outside. Seriously, performance was back to brand new. I did try different batteries out of the four when I was having issues, but since they were all rotated religiously they all had the same number of charge/discharge cycles and apparently they all got puny at the same time also. So, if you are finding your GH running a bit cold, you may want to consider new batteries before RMA.
. The GH vapes made from May 2017 are the new improved GH, made to address reliabilty issues. Yeah Bruce....they been saying that they have improved reliability for the last year and a half...nonetheless, if you look into forums that have a more active GH thread, you will see that people are STILL having serial RMAs...on new devices. Bit too early, IMO, to call it a win for Hopper. Perhaps with more of a track record on new revisions, I may git it too them, but not yet, I'm afraid. Nice!!! Would you dare me to say with a 6 day turnaround and lifetime warranty it is 100% worth the trouble. I have checked into in a more detailed way and believe 100% they have been working on things at Hopper Labs. Its another thing that helps me overlook the warts, is the company is really nice, very idealistic and they take a great deal of pride in constantly perfecting their product. 6 Day turnaround on RMA's and Lifetime warranty is nothing to sneeze at. Hi Bruce - im of mixed feelings about the warranty. Also, there are some whose returned RMA’d devices failed again in short order. For those folks, warranty or not, it’s a PIA. Then for people overseas, Ben one RMA is often very expensive in terms of shipping and sometimes duty. It’s all well and good to have a long warranty, but the goal is still a reliable device and I’m not yet convinced that I’m just not a lucky outlier with mine. It seems like we have hit "Vape Gold" with the GH and there has to be an issue with reliablility! I have been offered by friends to try there GH by every time I go to try it ,,,,,,,you know its gone back for repair ! One day one day lol temple ov truth rave on. I have used mine dozens of times, and not a glitch yet, If and when a repair is needed, it sux but from the day of the RMA to get repaired vape back in 6 days is doable and worth it because there is nothing like the GH. I have the new mouthpiece and its a game changer. It gets a bit hot but very manageable. I've had to RMA more than 20 times since October 2016. I'm in Europe and it costs me $10 every time I have to return them. They always replace or repair them but the ones they don't last for more than a week or so. Some even less. I bitched a bit the last time about what it was costing me and they gave me 2 free batteries and a glass thing for holding weed. And I had to practically extort that from them. I think they'll eventually fold and then that's it for anyone who has a GH. I would probably be a heavy user but the device should be able to deal with that. Great when it works. I've had the last 2 working OK for a couple of weeks but I hardly ever use them now as I'm using the MV1.